New Delhi : Micromax Informatics has launched its first Google-Certified Android TV in India. The Android TV comes with two variants, 49-inch and 55-inch 4K UHD HDR10. Though the company has not given any specific name of the product, the price tags have been fixed. The former comes with Rs. 51,990 while the later can be purchased at Rs. 61,990, respectively. Further, Micromax says that the TV has been equipped with high-dynamic range (HDR) technology to offer stunning picture quality. The televisions have official Google Play support for apps, games, movies, and music. 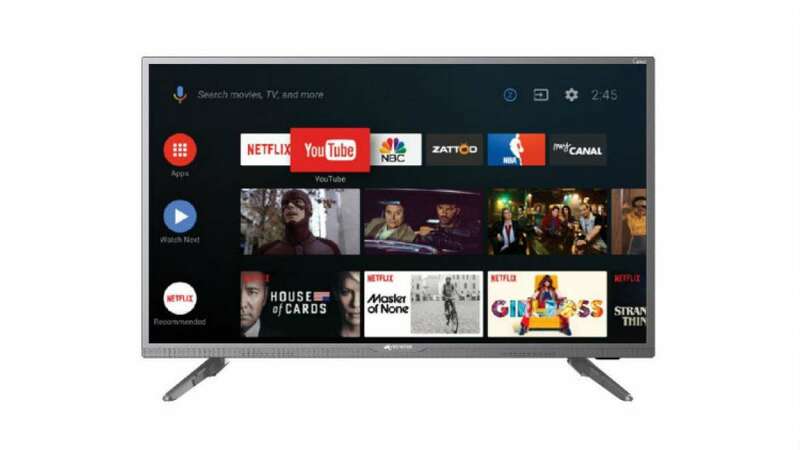 To add more, the new Micromax Android TV runs on the latest Android Oreo, has Dolby and DTS sound certification, quad-core Cortex-A53 processor, 2.5GB DDR3 RAM, and 16GB EMMC storage, built-in Chromecast and MHL connectivity, Google Assistant with voice-enabled search and wireless smartphone control (with Wi-Fi and Bluetooth connectivity), among others. Micromax is also touting its own Pure Sound Technology, which it says is Dolby and DTS-HD audio certified. The televisions have 2x12W speakers. Finally, the company is also boasting of Eco Energy certification for power efficiency. The new addition in the television market could welcome Diwali sale, if the company would have provided it as of now. But, buyers need to wait for a month, till the company delivers the Android TV in the stores. For now, Micromax is celebrating Diwali by offering budget smartphones, named Bharat 5 Infinity Edition and Bharat 4 Diwali Edition at Rs. 5,899 and Rs. 4,249 respectively. The sale is on and you may grab one before the handsets run out of stock.